KANDAHAR, Afghanistan — An elite new Taliban force is proving its strength in the strategic southern province of Helmand, pointing to the insurgents' ability to refine their battlefield techniques to match Afghanistan's increasingly professional national army. Speaking on condition of anonymity as he was not authorized to speak to the media, the commander said the force numbered "around 300 fighters now, after starting out with 200." The new commando unit is called Sara Khitta, which means Red Group or Danger Group in Pashto. The Taliban would give no further details, and military officials refused to discuss the subject. But civilian officials in Helmand said the force is led by a commander known as Haji Nasar, former operational head of the Taliban operating in Kandahar and Zabul provinces. 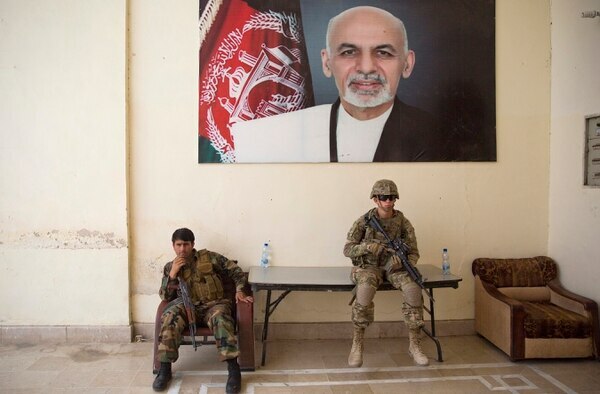 An Afghan soldier, left, and a U.S. soldier guard during a visit of Kabul's officials to the governor's compound on Aug. 4, 2016, in Kandahar. It appears to be the latest development in Taliban tactics. Over the past six months, the insurgents have shown that they are able to modify their approach to suit different terrain. For instance, in southern Uruzgan they have started closing off local roads and intra-provincial highways to cut supplies to villages and towns, putting local government under pressure. This allows them to expand their territory while launching fewer direct attacks on police checkpoints and buildings, minimizing the number of casualties among the insurgents. The Taliban commander said that casualties among the commando unit had been minimal, but he gave no numbers. In neighboring Kandahar province, powerful police chief Gen. Abdul Raziq, acknowledged the new force as a "reality." ''We can't deny that the Taliban are now changing their techniques and this new group is part of their new approach and new tactics. They are well equipped and highly armed," he said. These tactics have enabled the unit to launch attacks on a number of targets in a single night, forcing Afghan forces to spread their resources thinly and preventing them from sending reinforcements into any one battle. In a development of great concern to the Afghans and Americans, Helmand official Akhonzada said the new unit is using night vision technology, which has enhanced their attack capabilities. The equipment was likely seized from police and army units, he said. "That's why they attack at night, and that's why they can see our men but our men can't see them," he added. In Sangin, tribal elder Kako Agha shook his head as he talked about recent attacks on the district administrative compound and police headquarters. "This new group is so effective that only four Taliban captured a police compound where more than 20 soldiers were living," he said. By contrast, Afghan forces are suffering rising casualty numbers, according to U.S. military commanders. Afghan authorities do not release the figures to the public. The top U.S. commander in Afghanistan, Gen. John Nicholson, said last month that the Afghans had suffered about 20,000 casualties last year — and this year, the casualty rate is about 20 percent higher. The Taliban have been on the offensive since the international coalition withdrew most of its combat troops in 2014. But Afghan forces are fighting back. They are being supported by U.S. troops, who have expanded powers following a June directive by President Barack Obama, including permission to work more closely with Afghan forces on offensive missions. Afghanistan's military authorities, in conjunction with the Americans, have spent the past year upgrading their army, replacing leaders to wipe out corruption and inefficiency and create a more professional and confident force. Now that the Taliban have introduced a commando-style unit to the battlefield, the Afghan military may again meet its match during this year's fierce summer fighting season. 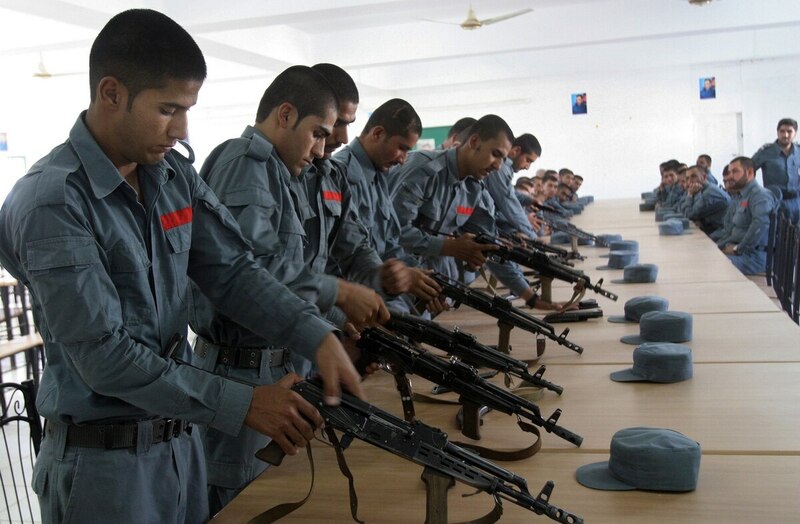 The director of Helmand provincial council, Kareem Atal, said hundreds of Afghan security forces have been killed across the province in recent weeks. He said that since late July at least 586 policemen and soldiers have been killed or wounded, as have at least 250 civilians. "The Taliban are now controlling 80 percent of Helmand," Atal said. "Our officials are corrupt and incapable of controlling this province. Our armed forces are not united and they don't fight in a coordinated and united way." Taliban fighters had reached the outskirts of the provincial capital on Thursday, he said. "This new force fights in a very technical manner and that's the reason that today they are at the border of Lashkar Gah." "We keep asking the government to do something about the current situation — if the government can't help, then why are we fighting the Taliban?" Atal added. "At least if we stand with the Taliban, the fighting will stop and we will have peace."